Boom! Only a week remaining until Just Cause 3 releases and tasks us with freeing the downtrodden population of Medici by shooting, exploding and incinerating everything we can see. At least we’ll be kickstarting the island state’s economy by providing much needed construction jobs. In anticipation of what might well be the most over the top action game to release in 2015, Avalanche Studios and Square Enix are treating us to a barrage of trailers and gameplay footage to remind us that Rico Rodriguez is back – check some of them out below and remember that Just Cause 3 will kick its way into stores on the 1st December for PS4, Xbox One and PC. First up is the Kasabian trailer which showcases the extreme stunts you’ll get up to (still wish they’d used the full Prodigy Firestarter track as the background music though!). Not content with the official trailer? Why not watch the 3 finalists in the competition to produce a fan trailer, all excellent work. There’s actually a full playlist of the top 21 here, so if you want to see more of the awesome effort put into this competition Just Cause 3 has inspired then keep watching. The last developer diary is up too, covering the Avalanche engine and what it’s capable of with the level of destruction, and the amazing things it lets you as the gamer do. Finally, do you want some gameplay? Well, here’s the first hour of Just Cause 3. There should be no real spoilers in it, you could end up playing the beginning completely differently to what’s in the video, but if it’s too much of a risk that it’ll ruin the opening then give it a miss. 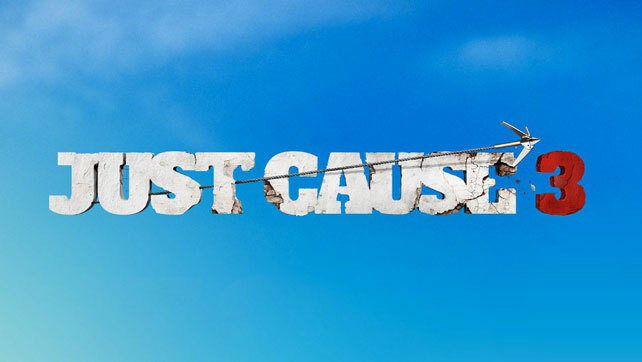 What are you most looking forward to in Just Cause 3? For us it’s just the total freedom of approach to each situation… assuming it involves guns or explosives of course.